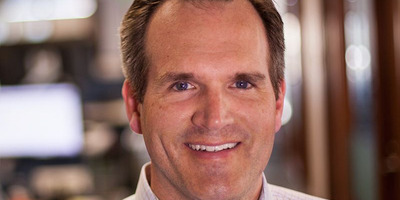 Smartsheet, a $US852.1 million collaboration software company, has filed to go public. Smartsheet, which was founded in 2005, grew its revenue by 66% from 2017 to 2018, but also saw its losses grow by a whopping 223% in the same period. It’s the latest enterprise tech company to move toward a public offering in 2018, in what has already turned out to be a busy year for IPOs. Three days after Dropbox’s successful IPO, another software company has filed to go public. Smartsheet -one of the Seattle area’s most prominent business software startups – filed its S-1 on Monday. The company will go public on the New York Stock Exchange under the ticker “SMAR,” in an offering managed by Morgan Stanley, J.P. Morgan Securities and Jefferies. Smartsheet, which was founded in 2005, hasn’t set a share price yet, but the company was last valued at $US852.1 million in a May 2017 funding round, according to PitchBook. Smartsheet had raised a total of $US120 million in venture capital across 10 funding rounds since it was funded in 2005. Early rounds were led by Madrona Venture Group, with Insight Venture Management and Sutter Hill leading later rounds. It’s unclear exactly when the company will start trading publicly. The company now has $US111 million in annual revenue, according to the S-1 filing, and most of that is from software subscriptions. Though revenue grew by 66% from 2017 to 2018, its losses grew by a whopping 223% in the same period. Smartsheet lost $US49 million in 2018, up from $US15 million in 2017. Smartsheet’s S-1 is the latest in a deluge of smaller enterprise tech companies turning to Wall Street this month – most of which have subsisted on venture funding for a decade or more. On Friday, Dropbox took its shares public on the NASDAQ in the first big tech offering of 2018, and is now valued around $US12 billion. The $US2.8 billion software company Pivotal filed for its IPO on Friday as well. And the $US738 million ‘subscription economy’ company Zuora filed to go public on March 16, the same day that the $US3.5 billion security company Zscaler raised $US192 million in an IPO. The $US3 billion electronic signature company DocuSign also reportedly filed confidentially for an IPO on March 20.